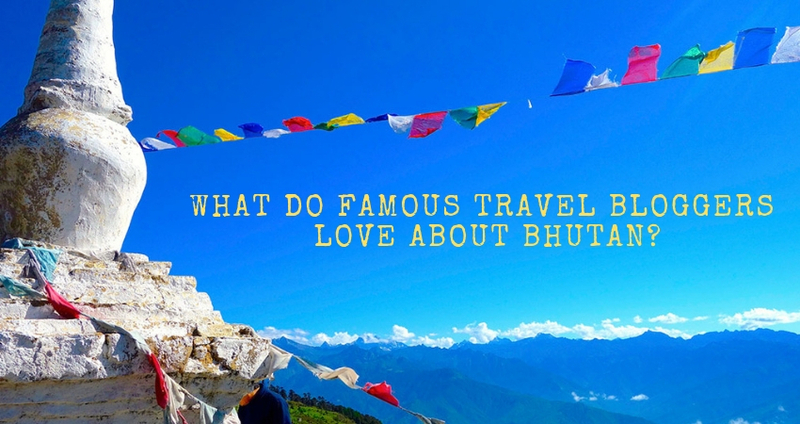 What do famous travel bloggers love about Bhutan? Mark Wiens is a passionate food lover and a traveler, but he mainly travels to sample delicious local food from around the world. 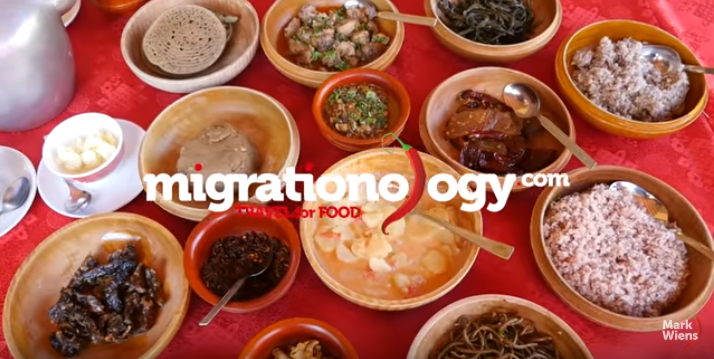 His blog migrationology.com was mainly brought to life to guide food lovers and travelers like him. He also manages a Youtube channel where he uploads awesome videos of his travels. “Bhutanese food is unlike any other food you’ll ever eat. The Kingdom of Bhutan is one of the most enchanting and most culturally preserved nations in the world. And although Bhutanese food is little known outside of Bhutan, it’s a cuisine that if you have the chance, and if you love to eat, you’re going to want to explore. From ema datshi (chilies in cheese sauce) to dried yak, and incredibly delicious chili sauce combinations, Bhutanese food is both exciting and packed with flavor. I had a chance to spend about a month eating my way through Bhutan — from dried yak coated in fermented yak cheese to complex chili sauces made with over thirty ingredients and spices"
“I can tell you that there are very few places where the people are as respectful, kind-hearted and peaceful as in Bhutan. The Bhutanese are devout Buddhists that possess strong beliefs about showing respect to other people. They believe that all sentient beings are equal and related. 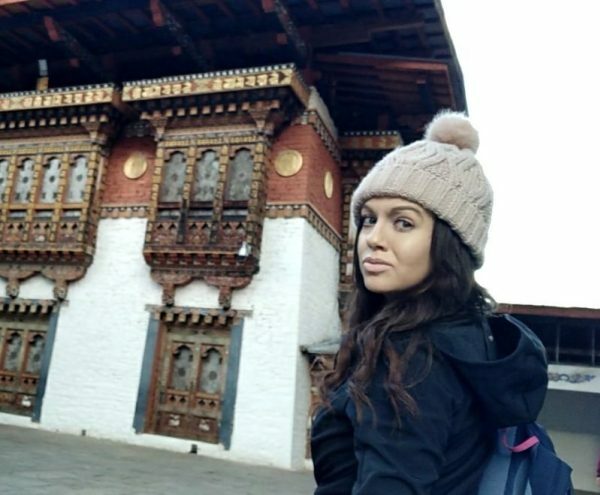 Solo female travel in Bhutan may not be the usual choice, but my trip to the Dragon Kingdom was one that I will remember for a lifetime”. “One of the most interesting, humble, innovative countries in the world. 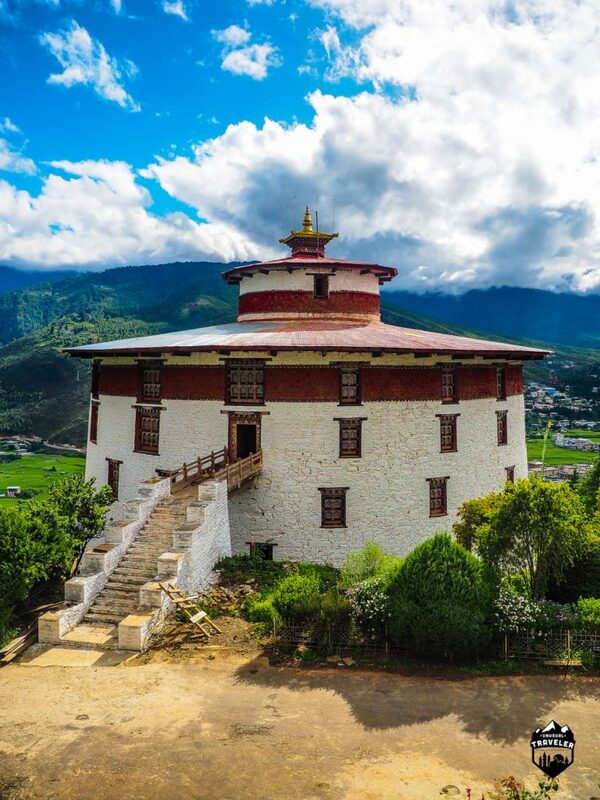 Unlike its chaotic neighbors, life in Bhutan is quite charming with majestic Buddhist temples, surrounded by rolling green hill and fresh rivers; it honestly feels like another planet. Bhutan is consistently ranked as the happiest country in Asia." "What I love most about Bhutan is that they make a Strong effort to preserve their culture, their nature, and their rituals. The government limits tourism by charging a hefty fee of $250 per person/per day and it is mandatory for all visitors to have a guide, but if you ask me its 100% worth the price to witness something so special. Bhutan is 75% forested. The rest of the country is covered in green mountains, deep valleys, wildlife sanctuaries, and reserves. The air is so fresh, the views are so stunning and you will not find a single piece of trash where it shouldn’t be. Bhutan’s beautiful nature remains untouched as the country is a global leader in sustainability and protecting their environment. It’s the world’s only carbon negative country meaning it absorbs more Co2 than it gives out. It’s also the world’s only country whose largest export is renewable energy”. Cassandra De Pecol is an American author, traveler, activist, and a speaker is best known for being the fastest person and her claim of being first documented woman to travel to every sovereign nation in the world. She officially set Guinness World Records in two categories: "Fastest time to visit all sovereign countries" and "Fastest time to visit all sovereign countries - Female". She is also known for appearing on the reality television series Naked and Afraid. In July 2018, she released her memoir; Expedition 196: The First Woman on Record to Travel Every Country in the World. “The smallest state in Asia took second place for its peaceful environment and lifestyle”. Christian is a traveler, photographer, beer lover, and adventurer from Norway. He has been to 106 countries around the world. His blog has been featured on National Geographic Traveler (Dutch), The Telegraph, Daily Mail, Lonely Planet Pathfinder December, Panorama.it, BoredPanda, The Plaid Zebra and CNN Indonesia. 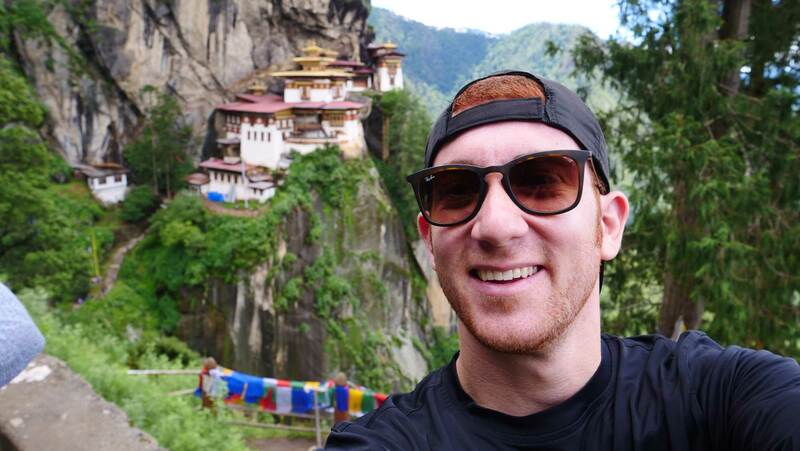 In 2017 he posted an article on his website where he picks his “10 MOST IMPRESSIVE RELIGIOUS BUILDINGS IN ASIA”, where he elaborates about Bhutan’s most amazing attraction; the Tiger’s Nest Monastery. 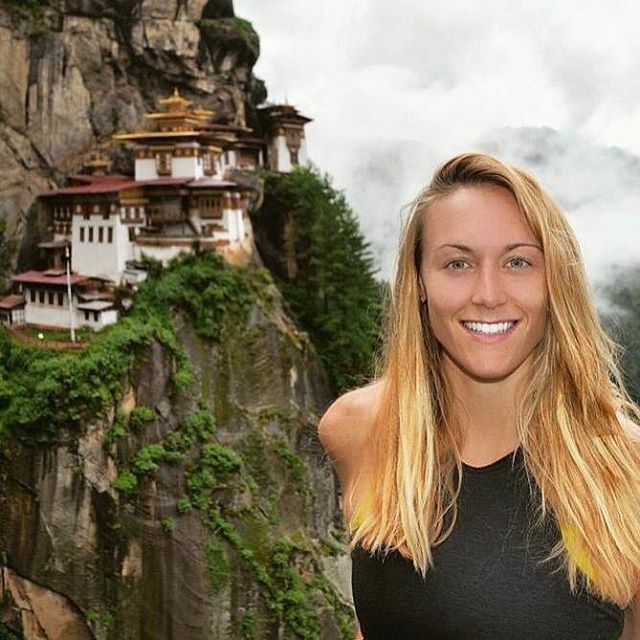 “Tiger’s Nest Monastery is the most impressive building in the world for me”.